Two authors from the creative arc which encompasses northern NSW and SE Qld have had YA novels published recently. Tristan Bancks’ Two Wolves (Random House Australia) and Christine Bongers’ Intruder (Woolshed Press, Random House) both look at teens who have family problems and are struggling because of their parents and yet are able to work through these issues and strengthen their own characters. 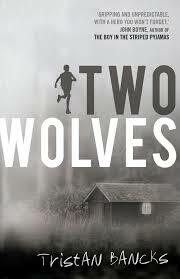 Thirteen-year-old Ben Silver in Two Wolves has parents who are culpable. They have allowed him to grow up spending hours watching screens and to eat so poorly he is overweight. Their business dealings are suspect and the novel begins with Ben and his seven-year-old sister Olive being thrust into their car and on a ‘holiday’. Ben wants to be a detective and he is dubious about what’s going on, especially when he finds a bag of money in the cabin where they are staying. While keeping the narrative exciting and fast-paced, Bancks poses moral dilemmas and choices which increase the depth and literary worth of the novel. Should Ben be a detective or thief? Should he warn his family when they are at risk? Should he run or surrender? Should he capitulate to the bad wolf of pride, jealousy and greed or follow the good wolf of kindness, hope and truth? Set in a Queenslander (Qld’s quintessential timber house) in Brisbane, Intruder explores a difficult situation where Kat’s musician father must leave her alone at night so that he can work. Her mother has died from cancer and neighbour, Edwina (who Kat seems to despise) looks out for her. 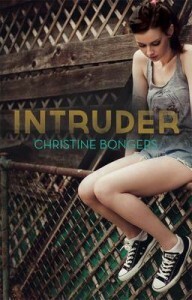 Like Two Wolves, Intruder opens with a bang – Kat is awakened by an intruder. Whilst remaining in the same geographical location, this novel embarks on a literary journey as Kat makes friends at the dog-park and untangles and resolves the secrets of her past. Both books refer to other literature: Kat has her selection of Roald Dahl books – Matilda, The BFG and James and the Giant Peach. The protagonists in these books seem to resemble Kat because their parents are either not present or uncaring. Ben’s adventures remind him of Sam Gribley, the protagonist of Jean Craighead-George’s My Side of the Mountainbut he feels inadequate about his survival skills, especially when compared with Sam’s achievements. In spite of traumatic situations, Ben and Kat make good decisions which will place them positively for the future. They are flawed, realistic but positive role-models for their teen readers.